> The brand spanking new Gateway Arts Center Gallery opens with a show that features area artists. Juried by art critic and expert of the local arts scene, F Lennox Campello, the exhibition will have two receptions – one for both the Arts Center Grand Opening and the ‘Artists of The Gateway Arts District’ and one at the closing of the exhibition. The grand opening marks years of effort to get the center running. * Opening Reception and Center Grand Opening: March 19, 2010. The ribbon cutting ceremony will start at 3 pm. The Open House will follow until 8 pm. RSVP by March 15 by calling 301.864.3860, ext 3. 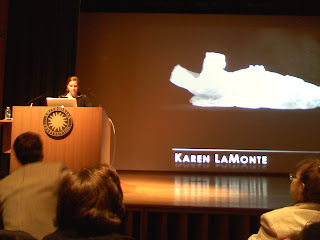 > Last night was the dinner with artist Karen LaMonte and talk at the Smithsonian American Art Museum. Her artwork “Reclining Dress Impression with Drapery” was just acquired by the museum. She talked of her work and process to make this haunting and striking cast glass sculpture – the work is so technically complex that it can only be crafted at Lhotsky‘s studio in the Czech Repbulic, one of the largest and most advanced centers for glass casting. It was a fascinating and fun night in the museum’s galleries! 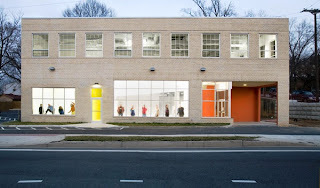 Each year <?xml:namespace prefix = st1 />Montpelier Arts Center hosts an exhibition open to artists aged 18 and older who live in Maryland, the District of Columbia and Northern Virginia. 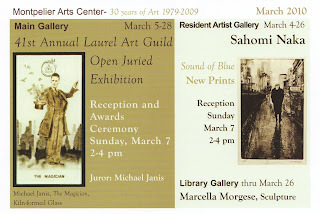 It is chaired by a member of the Laurel Art Guild. This year I was juror, and spent a day going thru the entries. It was a surprisingly hard task to whittle down the selection – a very talented roster of artists submitted art for the competition, and 60 works were chosen for the exhibition. Virtually every medium is represented and the range of work is impressive. I will be giving a brief gallery talk about the selection process on Sunday March 7 during the reception held from 2 pm -4 pm. The winners will be announced at that time as well. The reception is free and open to the public. For more information and images, please contact Ruth Schilling Harwood at ruth.harwood@pgparks.com. Arts Programs of the Maryland-National Capital Park & Planning Commission are supported by a grant from the Maryland State Arts Council. Please refer to the Hamiltonian Artists website for the application requirements, restrictions and forms. The application process will close at 5:00 pm on on Tuesday, March 2, 2010, and any applications received after that date will not be considered. Boston’s Institute of Contemporary Art has a comprehensive retrospective exhibition of the New York conceptual artist Roni Horn – whose can be seen as drawn from minimalism and conceptual art. Horn’s remarkable glass sculptures, for example, aren’t Donald Judd’s inert boxes but shifting and slippery objects that belie their solid mass. The most recent example of this work, “Pink Tons” (2008), occupies the foyer gallery of the ICA. 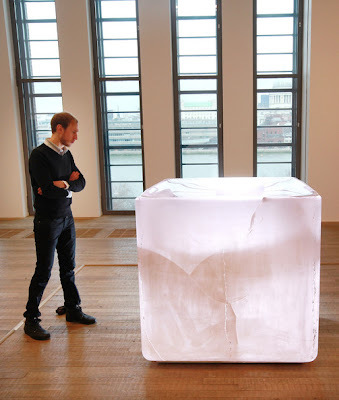 At approximately five tons, the sculpture has been called the “largest piece of glass in the world,” according to the ICA’s new head curator, Helen Molesworth. Though the glass is virtually unmovable, the imperfections in its core “afford the viewer a dizzying, unsettling experience” according to the Bostonist. The Glass Quarterly Blog has a great review of the show, with some other photos, but one has to marvel at the immensity of the casting and imagine the how much annealing time it would take to make that huge piece. Looking at the cracks in the piece, however, one would guess that whatever it took, it was not enough. Spring Craft Weekend is in the air! The melting mountains of snow are revealing jolly jonquils; the birds are returning and the days are getting longer – it can mean only one thing: Spring Craft Weekend is soon! This April, there are many events planned that even the most jaded art lover, craft fancier, and media-specific aficionado can participate in. 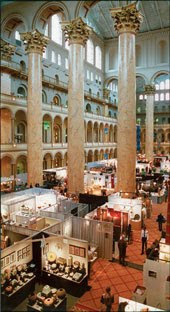 The 28th Smithsonian Craft Show (Thursday April 22- Sunday April 25, 2010 www.smithsoniancraftshow.org ) is one of the country’s most prestigious juried exhibition and sale of fine American craft. The show features 120 top craft artists, each one reflecting the story of contemporary American craft in one of 12 categories: basketry, ceramics, decorative fiber, furniture, glass, jewelry, leather, metal, mixed media, paper, wearable art and wood, and takes place in the historic National Building Museum in Washington, DC. There are also many lectures, demonstrations and tours sponsored by the Craft Show. Want more? the The James Renwick Alliance has many activities and events planned, including dinners catered by major chefs, live and silent craft auctions, visits to galleries, a craft symposium, visits to private craft collections and artist studios. A special free event is the annual Saturday morning symposium sponsored by the Smithsonian American Art Museum and the James Renwick Alliance. 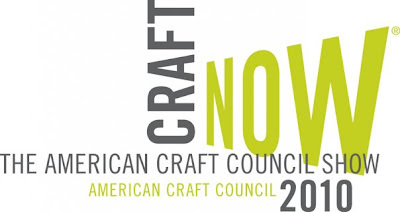 Special guests will be Mark Sfirri, Randy Johnston and Yoshiko Wada, who will receive the JRA’s Distinguished Educator award, and the topic is How Craft Makes its Way into the World. Stay tuned for news on events and participating artists. All events are open to the public with ticket and offer fun, excitement and interest for those new to studio crafts as well as experienced collectors. Want even more? 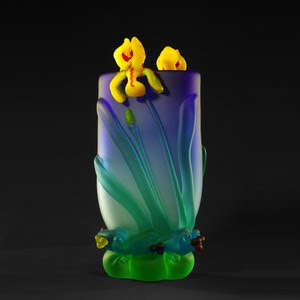 Well, Washington, DC Mayor Adrian Fenty has proclaimed the week to be “Craft Week DC” and there will be tours, special exhibitions and events at the Washington Glass School and the surrounding craft studios that weekend. Some celebrity guests will give awesome demos – like Matthew Szosz inflating float glass! Save the dates! – More info to be posted soon! Say, Isn’t that OUR Jennie? >The new summer catalog of classes held at the beautiful and historic Penland School of Craft in the mountains of North Carolina were delivered a couple of weeks past. Inside, amongst the fantastic listings and descriptions of courses in different media (Books, Clay, Glass, Wood, Drawing & Painting, Iron, Metals, Photography, Textiles, Prints and Specials) is a photo of our Jennifer Lindstrom, shown working on her artwork last year. 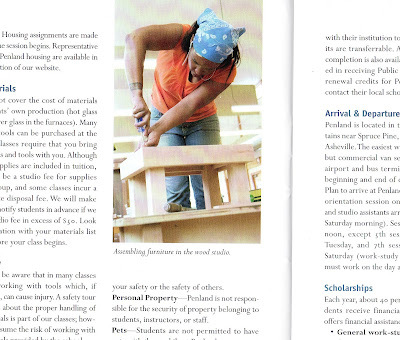 Jennie hard at work in the print edition of Penland’s summer course catalog. It is always nice to see Jennie working on her artwork! For more about Penland and information on their immersion courses, Click HERE. Scholarship deadline is fast approaching Click HERE for the link. 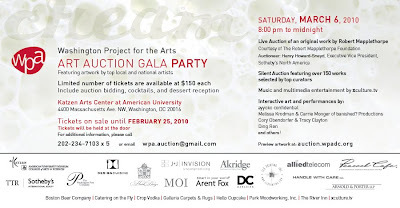 The Washington Project for the Arts (WPA) invites contemporary art aficionados to indulge their passion for art at the WPA Art Auction Gala on Saturday, March 6, at 6 p.m.
All proceeds benefit WPA programs and exhibitions. For tickets and more information, please visit www.wpadc.org/auction/auction.html. The dinner tickets are sold out, but party tickets are available.